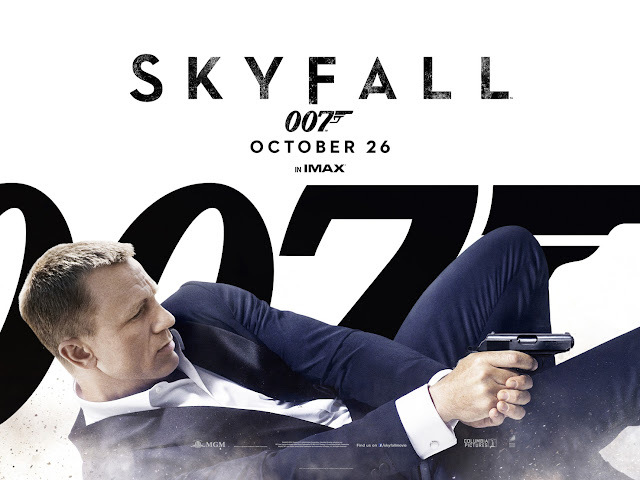 Skyfall (2012) is a wonderful celebration of 50 years of Bond. The film starts with Bond coming upon several dead agents. A hard drive was stolen from them. After an intense chase, Bond struggles with one of the thieves atop a train. M orders fellow agent, Eve, to take a shot at the thief. She hits Bond and he falls from the train. With Bond presumed dead, the hard drive disappears. We discover the hard drive contained a list of agents embedded in terrorist cells. After M discovers someone has hacked into her computer Mi6 headquarters explodes. 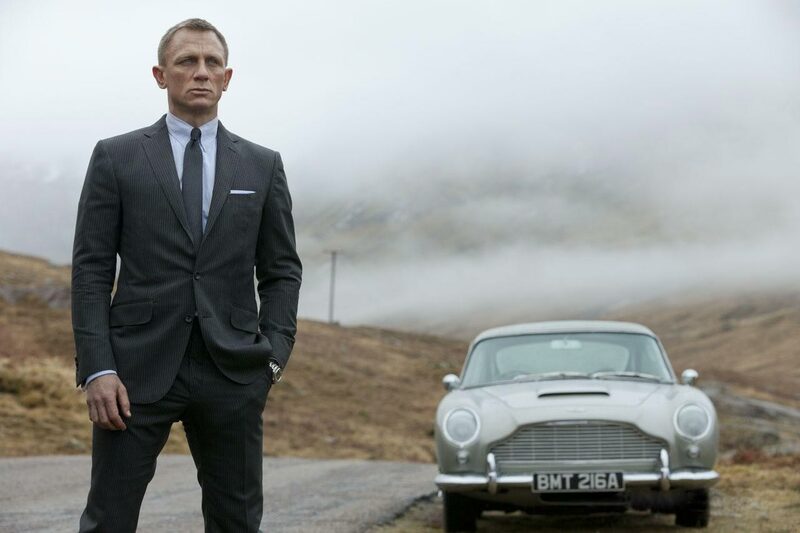 Bond returns to track down the enemy who's targeting M and prevent the list from being used for further destruction. Skyfall is an exploration of loss and, to some extent, identity. These are heavy themes, but this movie lets you know from the start that this will not be the joyless adrenaline ride that Quantum of Solace was. Bond has some witty repartee with his fellow agent Eve and this movie keeps it going all the way through. Bond struggles with his wounds throughout this film. It started off a bit cluttered, with a lot of plot points all over the place, but they all manage to come together nicely. Some of the dialogue is a bit unnatural, but it doesn't do too much to detract from the overall film quality. This is full of one liners and great action scenes that are the staple of the series. James Bond's serious wounds hider his super spy persona; however, it is nice to see him at half strength. It lends a lot of tension to scenes where his victory would be assured otherwise. It is a nice slow climb back up to full strength, but worth every second of it. We also get to see more about Bond's past, but just enough to lend flavor and enrich the character. Sévérine works for Silva. She is the only character in this who should have been left out. She's pretty, but her relationship with Bond just didn't work. Her scene with both Silva and Bond is a great look at both men, but the character has a badly handled introduction and it isn't helped by a follow up scene that was just gratuitous. Double woman in refrigerator? Eve is a counterpoint to 007's super agent. She's a decent agent in her own right, but far from perfect. Her off and on relationship with Bond is one of the highlights of this movie. Gareth Mallory is the tough new government guy who hopes to help M clean up Mi6. At the start of this movie his scenes seem out of place, but as the film progresses, it becomes very apparent that he is crucial. Ralph Fiennes plays the character brilliantly. Q is one of the more nerve inducing new additions, but the new take blends well. It is rather reminiscent of the gradual introduction of the original Q. He's the head of the Quartermaster branch and an elite hacker. He represents the information age and he is played with just the right level of cockiness. M is Bond's boss and she shows a tremendous amount of confidence in him. This is almost more M's movie than 007's. She has a personal relationship with Silva that drives the second half of the movie. She also has a political scandal that is a little superfluous at the start, but the way it is resolved. M is given more backstory, and her history reveals how she tends to deal with problems. 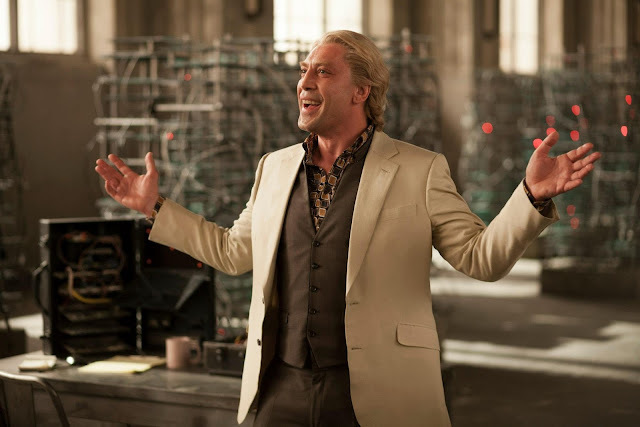 Raoul Silva is the phenomenally disturbing opponent that Bond must face. Javier Bardem proves he can play an insane evil person in a variety of ways. Let's just say that this is an entirely different role than his famous turn as Anton Chigurh in No Country for Old Men. His rivalry with Bond is excellent, and he is sure to go down as one of the greatest Bond villains. This film is absolutely gorgeous. We see fantastic luxury casinos and abandoned cities. Whoever did location scouting for this film deserves a raise. I need to take a trip to Macau now. We also get "Skyfall" the song performed by Adele complete with intense opening that blends the old Bond openings with a sleek new style. The end sold this movie. It has some tense action scenes that draw you in and leave you wondering how Bond will deal with such an overwhelming threat. Plus, the ending scene will make any Bond fan smile and applaud. 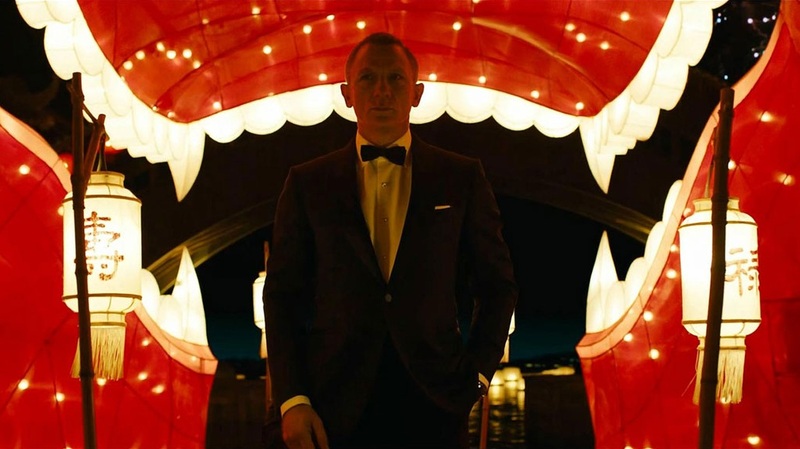 This is a return to form for James Bond, but it doesn't lose any of its modern sensibilities. It is fun and flashy and has so many references to the history of the series that I couldn't keep track. It manages all this without breaking any of the new continuity. This movie brings Bond into today while gracefully acknowledging all that has passed. It isn't quite Casino Royale, but it is a great entry in the Bond series It is a must see for fans of good fun movies.